I don't normally drink any alcohol because I haven't yet acquired the taste. I doubt I'll ever at this point in my life. I, however do like fruity drinks and drinks that don't have that alcohol taste in it. I guess you can say, I'm not my father's daughter in that regard. My dad used to hand my dates a beer as they entered the door. He was always grilling something and he used to say, beer with anything grilled was perfect. That was my dad. 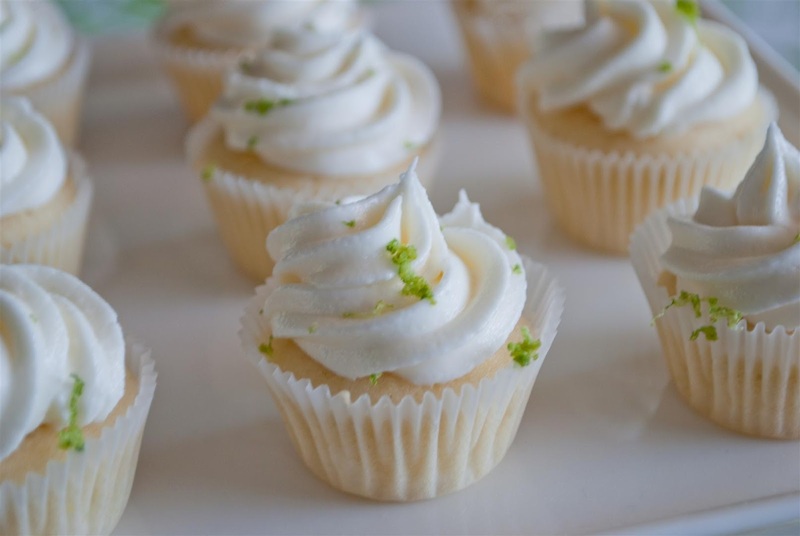 Back to the title of this post - Margarita Cupcakes. I enjoy a margarita every now and then so when I found this recipe, I thought it would be perfect to share with some neighbors of mine. I loved the cupcake. It was moist and it had the perfect amount of acidity from the lime. The amount of tequila was just a hint that made it really taste like a margarita. I got kudos for the frosting above all else so that made this recipe worth it. Preheat the oven to 325 degrees F. Line a standard muffin tin with paper liners; set aside. Reduce the mixer speed low. Add the dry ingredients in three batches, alternating with the buttermilk in two batches. Mix only until just incorporated, using a rubber spatula to give it one last mix by hand. Divide the batter between the muffin cups. These cupcakes do not rise very much, so fill the liners over 3/4 of the way. Bake for approximately 25 minutes or until just slightly golden and a skewer shows only moist crumbs attached, rotating the pan at the halfway point. Allow cupcakes to cool for 5 to 10 minutes. Leave the cupcakes in the cupcake tin as they cool. This will enable the cupcakes liners to stay on. 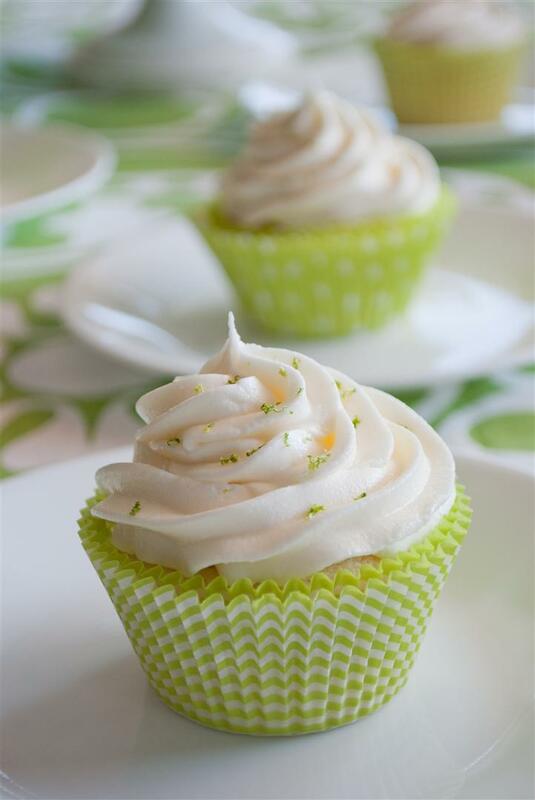 The moisture from the limes may cause the liners to pull away from the cupcakes. 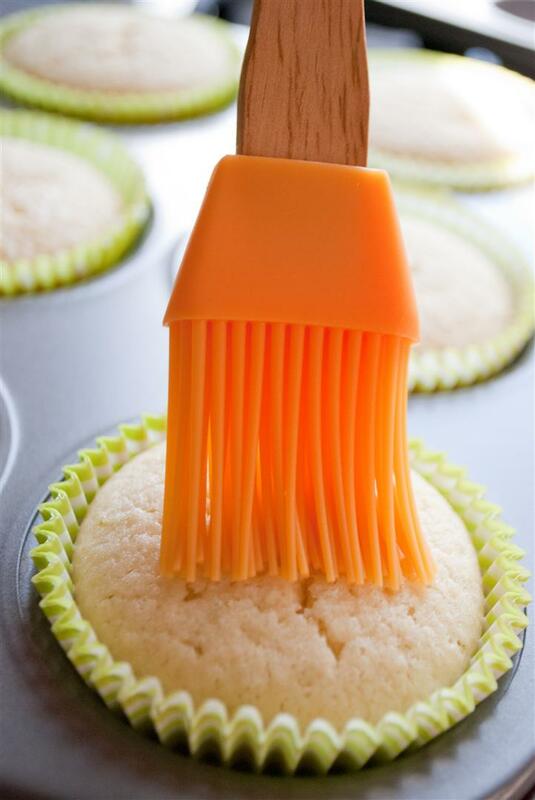 Brush the tops of the cupcakes with the 1 to 2 tablespoons of tequila. Set the cupcakes aside to cool completely before frosting them. 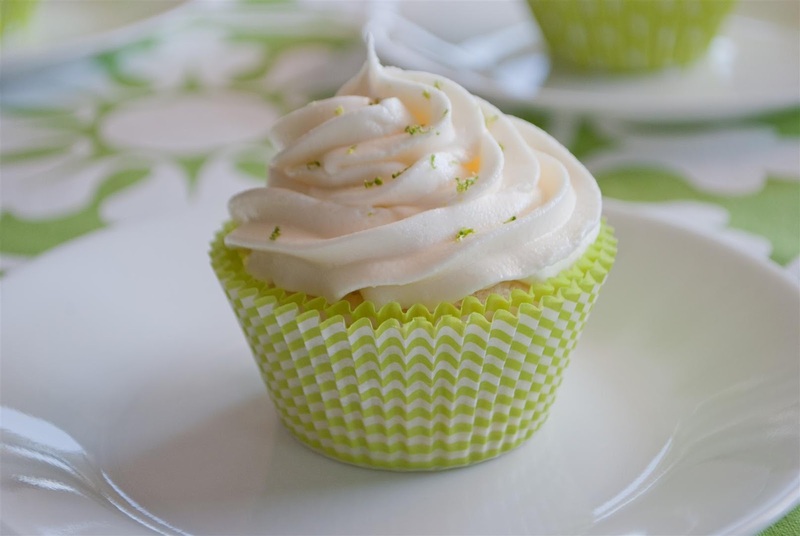 To make the frosting, whip the butter on medium-high speed of an electric mixer using the whisk attachment for 5 minutes. Reduce the speed to medium-low, and gradually add the powdered sugar, mixing and scraping the sides of the bowl until all is incorporated. Give it a mix on medium speed for about 30 seconds. 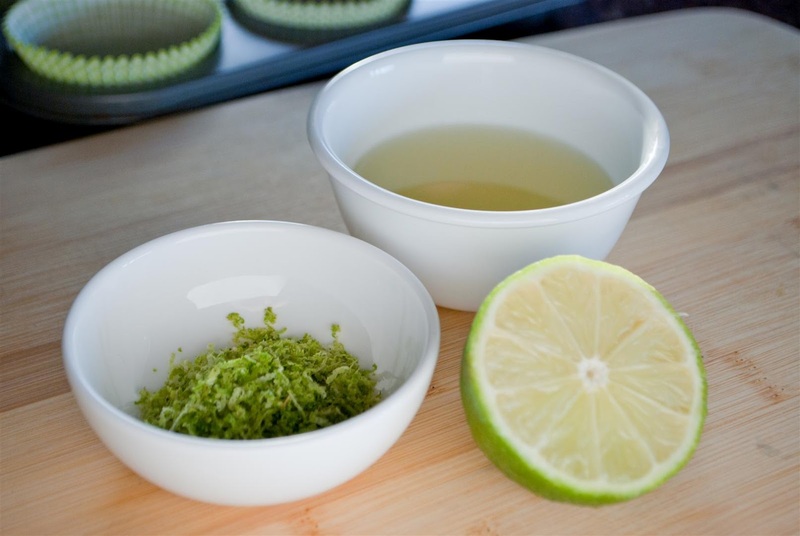 Add the lime juice, tequila and salt mix on medium-high speed until incorporated and fluffy. If the frosting appears a bit too soft, add some additional sugar, one spoonful at a time until desired consistency is reached. 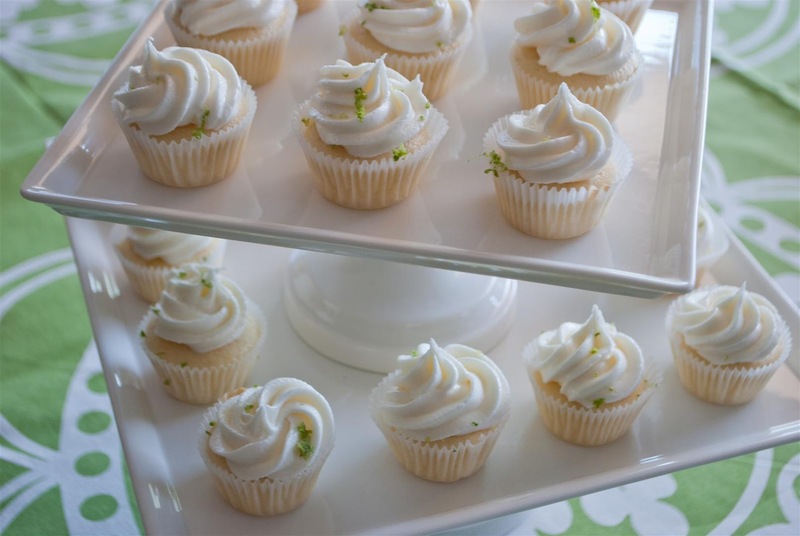 Frost cupcakes and garnish, if desired, with lime zest, an additional sprinkling of salt and a lime wedge. I made miniature cupcakes as well. Can't you see this at a bachelorette party? I simply love the way they turned out. 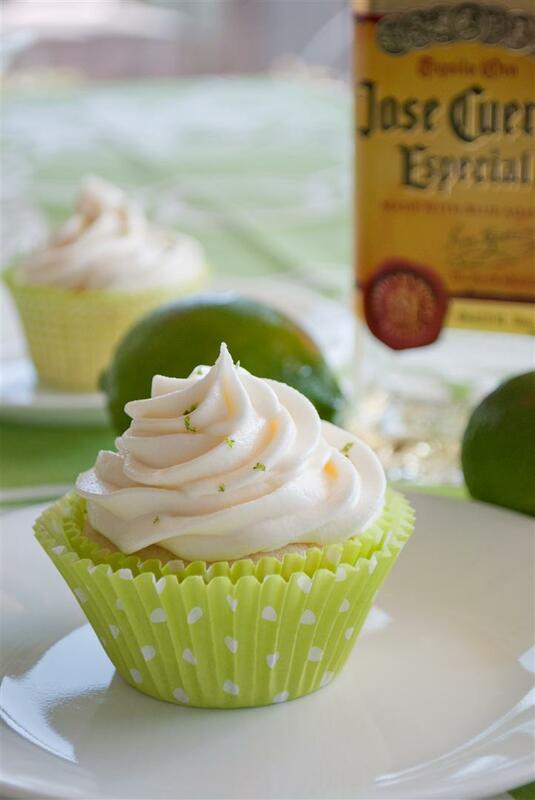 The best part is that you can make a kid friendly version as well by just eliminating the tequila out of the cupcakes and replacing it with a tbsp of vanilla in the frosting.